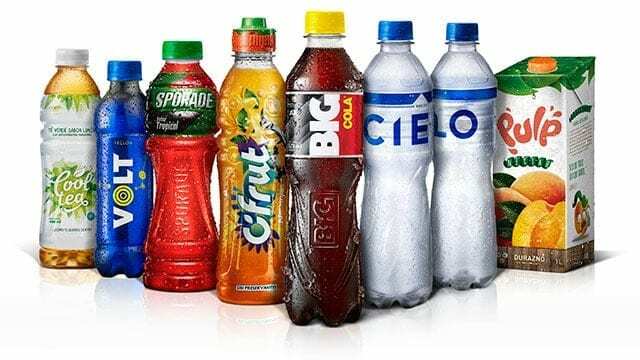 NIGERIA – An ad hoc Committee of the Federal House of Representatives has sent out summons to 91 carbonated soft drinks producers in the country to appear before it and respond to allegations of harmful additives found in some soft drinks sold in the country. According to the directive, some of the companies invited to appear before the committee includes the Nigerian Botting Company Limited (NBC), makers of Coca-Cola, Fanta and Sprite soft drinks. Others are Seven-Up Bottling Company Plc; Sona Group; Guinness Nigeria Plc; Nestle Nigeria Plc; Jos International Breweries Plc; GlaxoSmithKline Nigeria Plc, and Cadbury Nigeria Plc. Also invited to appear before the panel is Nigerian Breweries Plc (“NB”); Nigerian Distilleries Limited (“NDL”); Champion Breweries Plc; International Breweries Plc (IBPlc”); Frutta Juice & Services Limited; Emzor Pharmaceutical Industries Limited; Covenant University Consultancy Services; Bons Industries; Superior Beverages Limited among others. The committee is investigating the alleged high concentration of Benzoic Acid and Sunset Yellow additives found in Fanta and Sprite, both products of the Nigerian Bottling Company Limited (“NBC”). Consumers who take the soft drinks in combination with ascorbic acid, also known as Vitamin C are said to be susceptible to health risks, particularly cancer, the summons said. The committee, which is chaired by the majority leader of the House of Representatives, Mr. Femi Gbajabiamila, was mandated by the House to extend the investigation to about 90 soft drinks producers in the country so as to determine the safety of their products for Nigerian consumers. The summons was in compliance with a House resolution passed on 23 March 2017 mandating the investigation. The summons ordered 91 firms to forward their memorandums to the committee no later than 14 October 2017. The firms are also to appear before the panel starting on 24 October. The House had moved to investigate the firms after a member, Mr. Rotimi Agunsoye, introduced a motion in March, to draw the attention of the lawmakers to the health risk Nigerians faced by combining high concentration of Benzoic Acid in soft drinks with Vitamin C.
Agunsoye’s motion was prompted by the fallout following the Federal High Court ruling in the Fijabi Adebo Holdings vs NBC and the National Agency for Food, Drugs Administration and Control (NAFDAC). Dr. Emmanuel Fijabi Adebo of Fijabi Adebo Holdings Limited had sued the Nigerian Bottling Company and NAFDAC for monetary damages he sustained following his attempt to import Nigeria made Fanta and Sprite into the UK for sale. The UK regulatory authorities confiscated the goods, saying that they found high levels of ascorbic acid in the Fanta and Sprite, which they alleged were poisonous when consumed with Vitamin C.
The High Court in Lagos ruled in favour of the claimant, awarding him N2m. The court placed the blame on NAFDAC for its negligence in carrying out its regulatory functions and ordered it to compel NBC to include health warning labels on its Fanta and Sprite brands. The lawmakers on hearing this reacted with anger as the debate progressed on 24th March. Following deliberations, a motion was adopted by a voice vote through which an ad hoc committee was to be formed to investigate the allegations.